Calling all Tenno. Warframe is celebrating its third year on PlayStation, and even though the war with the Grineer rages on, we thought it would be great to celebrate. 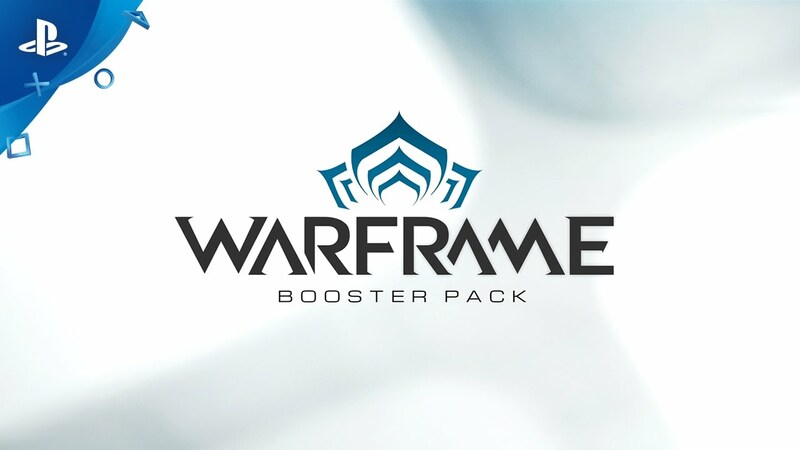 Beginning November 22, all PlayStation Plus members will receive the exclusive Booster pack in Warframe on PS4. Valued at $22, this pack will help you get started, or continue the fight. 100 Platinum + 50,000 Credits — to start stocking up on equipment immediately. Glaive — One of Warframe’s most iconic weapons. 3-Day Affinity Booster — Ranks up equipment faster for three days. 3-Day Credit Booster — Gathers credits faster for three days. Additionally, all PS Plus members and non-members can receive a 20% discount on Warframe merchandise in the official Warframe store. Simply enter the code “PSPlus” in the discount field at checkout, one discount per account. The discount applies to all merchandise except the Valkyr Statue and is available from now until December 6. 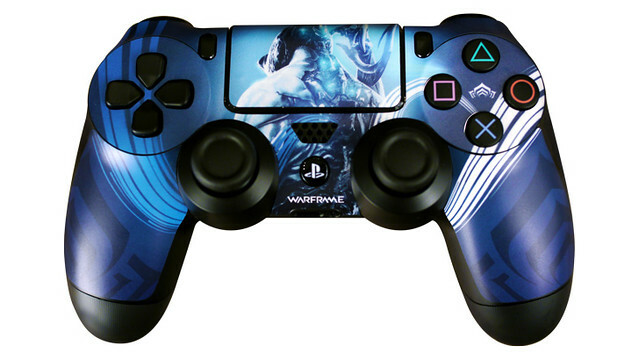 Time to get that Warframe Controller skin you always wanted. Warframe puts you in control of one of the most powerful weapons in the universe — the Tenno. Warriors of blade and gun; masters of the Warframe armor. Those that survived the old war were left drifting among the ruins. Now they are needed to push back the faction-hordes. Warframe is continually updated and totally free. You can grab it from PlayStation Store now. Stand together. Fight with honor. Restore balance. I know the reason we can’t transfer our accounts is because you [Sony] won’t allow us to for some reason. Obviously I can’t speak for the others, but I suspect you’ll see another influx of players from PC to PS4 if you were to allow this. I’d start playing and spending money again. Its actually because the version’s aren’t sync’d right now. The consoles editions of the game are behind the PC version not just because of differing development cycles but also content for the consoles needs to be certified so it takes a bit longer to release. So you can’t transfer your PC account to ps4 until the version sync up again. They’ve mention’d on dev streams they are looking into trying to add this feature though. Its definitely something they are aware we want. You really should give it a try again… it’s very addictive and fun to play! I have never played any game for as long as I’ve played Warframe. The developers are very diligent when it comes to adding new content and it’s the only free to play game I know in the market that genuinely is f2p! You can achieve everything by simple playing the game. I just bought stuff for around 60 € just to support the team behind it. Love that you are giving us some Warframe LOVE!!!! Thanks so much more to the folks at Digital Extremes! Does this also count for German PS Plus members? I cannot find something like this on the German PS Blog and cannot check the PS Store at the moment. Stop taking all my time Warframe! I don’t want to spend my four day weekend grinding AND trying to get Valkyr and the new prime weapons, stop it! This is one of the best games on PS4. Everyone who plays it should support it. Free platinum! That means more slots for me! Thankyou for your continued support! Not in store in the UK and not in store in Germany. Great post, shame about the lack of stores being updated accordingly. No avail in Italy as well. does this game hold a stable framerate yet? I tried it when I first got my ps4 and got motion sickness because of the insane framerate drops during heavy action. I love how absolutely terrible and abysmal sony’s playstation net presence is. I sincerely wish my shoulder wasn’t so messed up so I could abandon this terrible console environment you have created. sony. you are terrible and I wish you as a corporation, nothing but failure and debt. Why Cant i Buy this booster pack!?! ?